It is not above half a Year since the Workhouse at this Place was erected, so that a strict Account of what will be Saved, is not yet known. Two thirds of the Pensioners have left taking their Pensions, and we expect our Rates will fink one half at lean. The Poor, about 30 in Number, cost the Parish about 18 d. each per Week to maintain them : They do very little Work, for scarce any will come there that can do any, besides Children, and they are half the Day at their Books. There are 3 or 4 old Men, that are let out to work, and the House hath what they earn ; but some small Matter is given them for their Encouragement. The great Difficulty of beginning this House, was the Want of Money to build it, the Parish being already overburthen'd with Taxes; to remove which Difficulty, a Gentleman in the Neighbourhood, of his own Accord, readily lent the Parish 500 l. free of Interest, to begin this Method of Relieving the Poor, upon Condition of being reimbursed out of the savings of the rates as they rise. A parliamentary report of 1777 recorded parish workhouses in operation at Ware (for up to 90 inmates), Great Amwell (20), Hodsdon [Hoddesdon] (35), Standon (70), and Stansted Abbott (50). Standon's parish workhouse is believed to have stood in proximity to Hadham Road. A block of almshouses in the vicinity is said to have formed outbuildings to the workhouse. Standon former parish workhouse outbuildings. 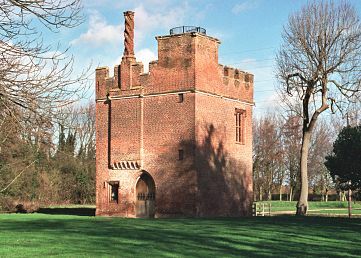 At Stanstead Abbots, the gatehouse to the now-demolished Rye House is said to have been used as a local workhouse. Hertfordshire: Broxbourne, Eastwick, Great Amwell (2), Gilston, Hoddesdon (2), Hunsdon, Great Munden, Little Munden, Standon (2), Stanstead Abbots, Stanstead St Margaret, Thundridge, Ware (4), Widford, Wormley. The population falling within the Union at the 1831 census had been 14,654 — ranging from Stanstead St Margaret (population 107) to Ware itself (4,214). The average annual poor-rate expenditure for the period 1831-34 had been £12,131 or 16s.7d. per head. 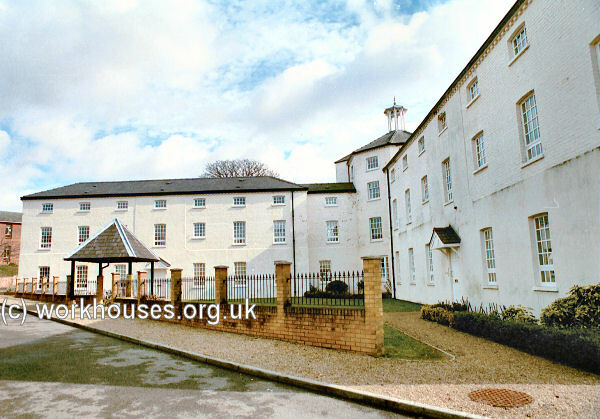 Initially, the Ware Guardians continued to use existing parish workhouse buildings. 1836, the Poor Law Commissioners authorized the expenditure of £1,000 on their upgrade. A local builder named Hitch received the sum of £331.5s. for his work. However, a new purpose-built workhouse was erected in 1839-40 on a 3½ acre site in Holm Field in Ware, at the north side of Musley (the present Collett Road). The Poor Law Commissioners authorized an expenditure of up to £600 on the land and £6,400 on a building to accommodate 300 inmates which was to be completed within twelve months. The architects for the scheme were Brown and Henman of London. Although work progressed quickly, some dispute seems to have arisen between the Guardians and the architect who was eventually discharged. A dispute over the architect's fees continued for several years. The workhouse was based on a "St Andrew's Cross" variation of the popular cruciform design. The workhouse location and layout can be seen on the 1897 OS map below. A single-storey entrance block facing the road contained the porter's lodge, Guardians' board-room, waiting rooms etc. Ware entrance block from the south, 2001. To the rear, four accommodation blocks radiated from the central supervisory hub. Ware from the north-east, 2001. Ware from the south-west, 2001. 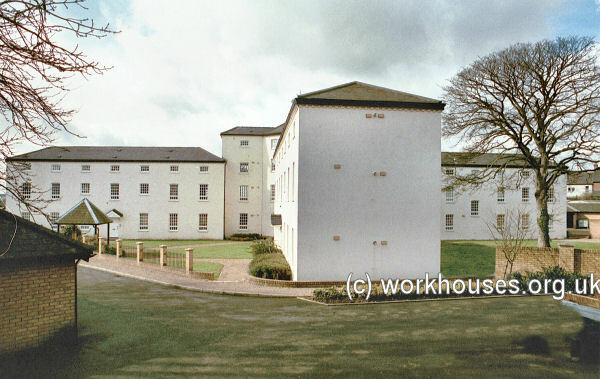 The workhouse later served as a hospital, then as an old people's home. It is now used as office and residential accommodation. In around 193, the Board of Guardians decided to open a children's 'scattered home'. It was located in a property known as Alpha Cottage, on Crib Street, Ware. 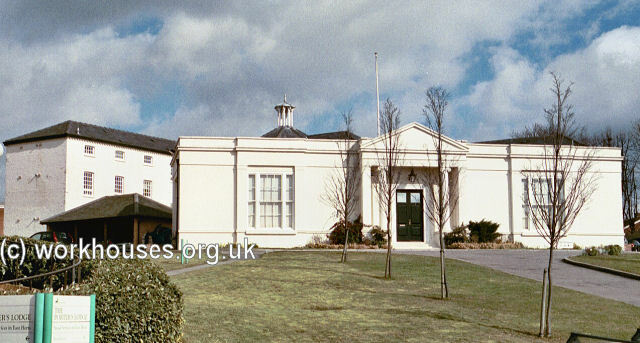 Hertfordshire Archives and Local Studies, County Hall, Pegs Lane, Hertford SG13 8DE. Holdings include: Guardians' minutes (1835-7, 1878-1902, 1904-30); Admissions and discharges (1879-82, 1884-7); Births (1905-14); Removal orders (1879-1927); etc. Ware Museum — Admissions and discharges (1882-4, 1887-92, 1910-21); Births (1914-46).